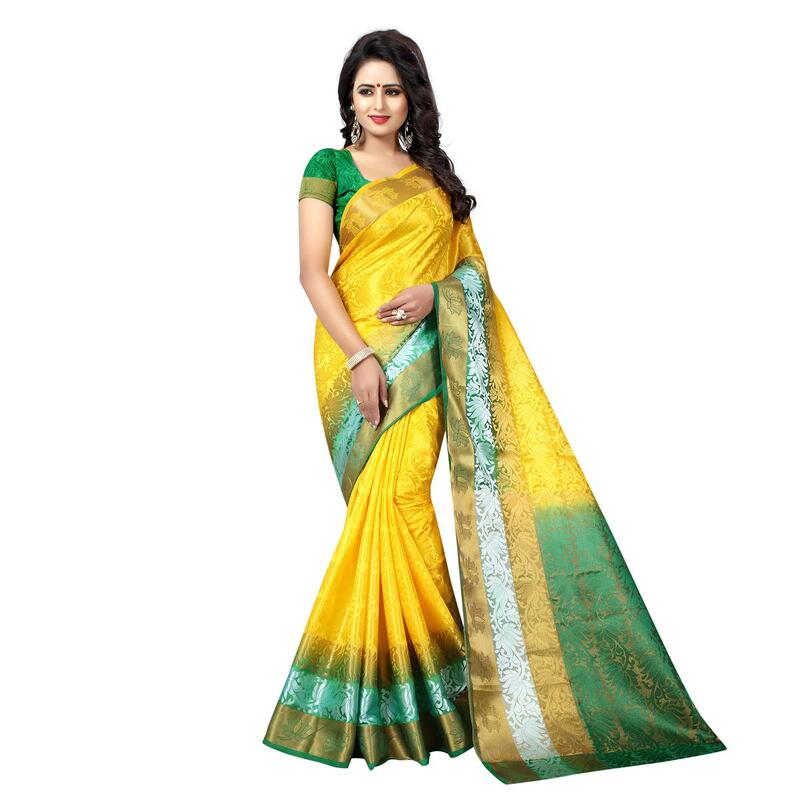 This yellow tussar silk saree features rich zari constrast pallu having exclusive designer big lotus design weaved through sober zari giving elegant look. 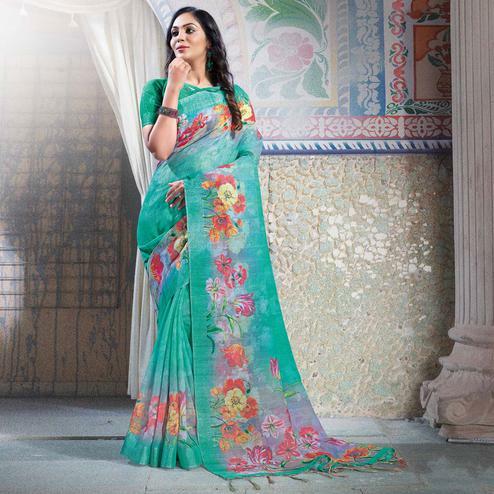 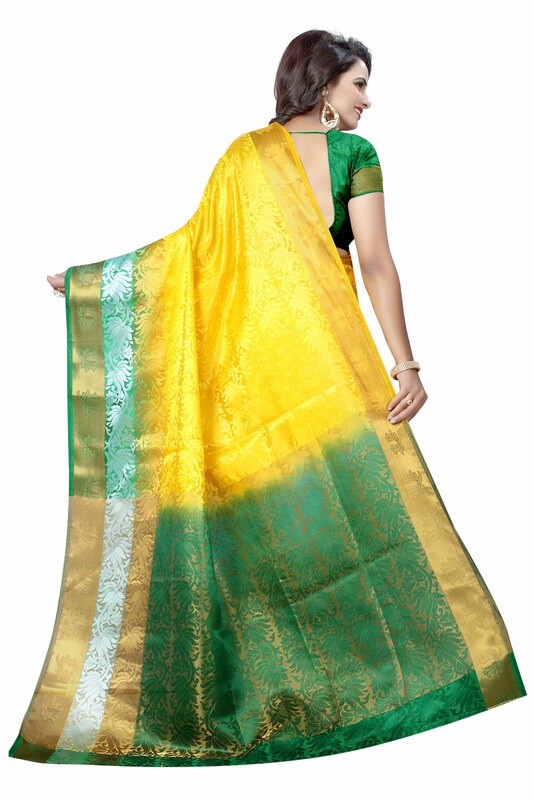 The designer big lotus design all over the saree add the saree look. 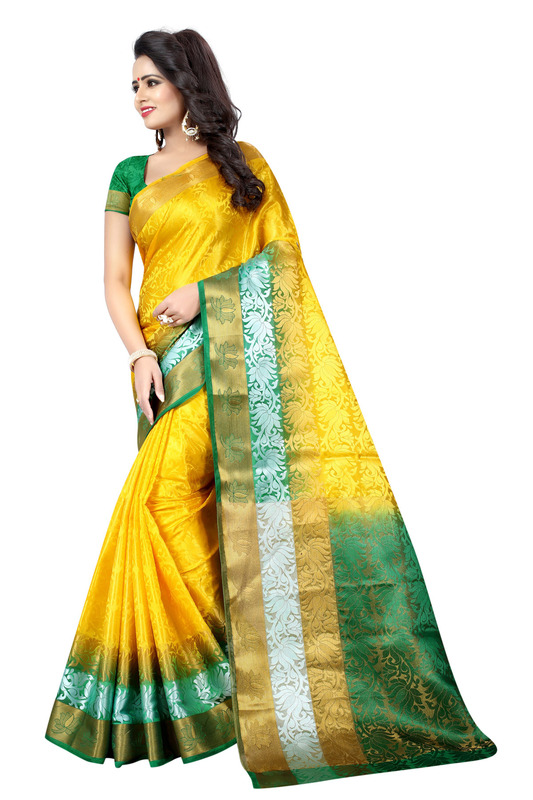 Matching fabric blouse comes along with saree. 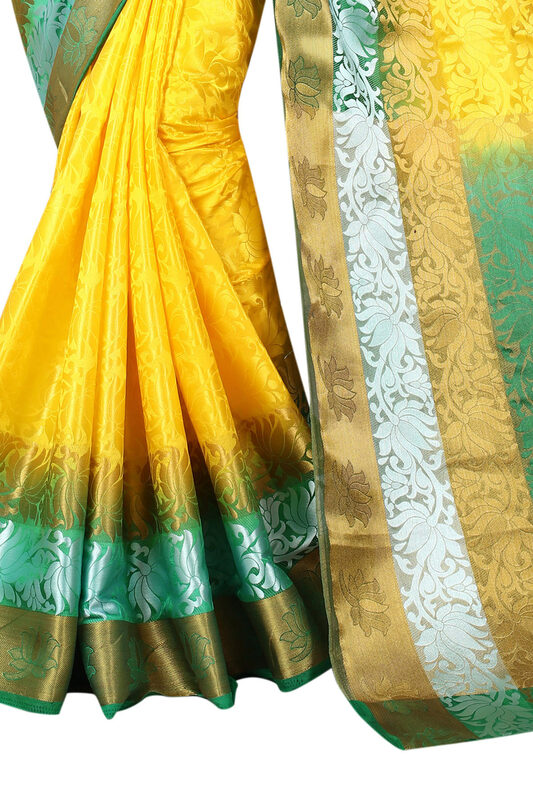 Best suited for traditional functions ceremonies and festivals.